How to import specific variations of items with DSM Tool Rapid Lister? It is possible to list items of different variations from the source website via DSM Rapid Lister. In order to do that, please follow this quick guide I made for you. Please note that as for now importing items of different variations is only possible from Amazon and Walmart. 2. Copy the URL (link) of the variation. 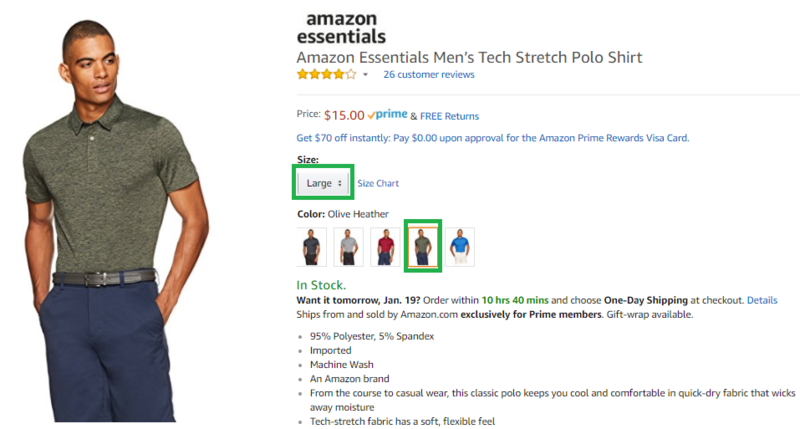 The process of importing an item with variation from Walmart, is quite different from Amazon. We see it’s ID when we are entering the page, but it’s not for the color we want So, we first choose the color and adding the item to cart. 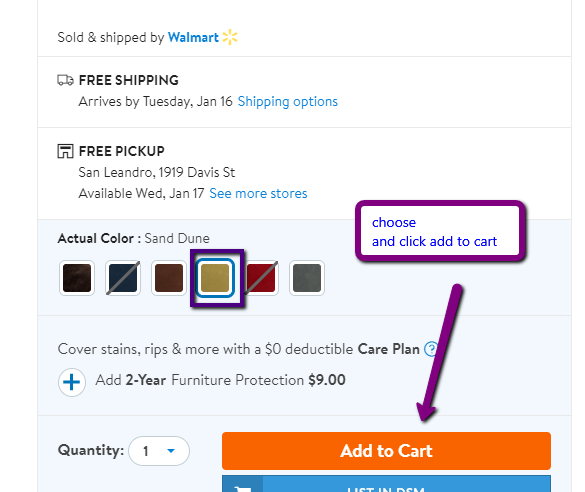 When the item with the color we want in cart, we simply click its link and it will show us the item details. Knowing that, we can now list the right variation to the Rapid Lister. Note: We did not use the “list in DSM” option and when we use the Rapid Lister we need to avoid copying long links. We hope this information was helpful to you, please feel free to contact us for any further questions.